Your free hiking trails guide for 2019. This is our oveview of the 19 hikes that you can tick off your bucketlist in 2019. From the ancient Camino de Santiago walking route to the famous green landscapes of the Wicklow Way, you have the world to choose from but we have selected some of our favourites to give you a taste of what’s out there. We have asked the hiking experts and trail enthusiasts to help us choose a selection of the top 19 hikes to embark on for your 2019 adventure. This guide will be provide you with all the inspiration you need for your next outdoor hike. 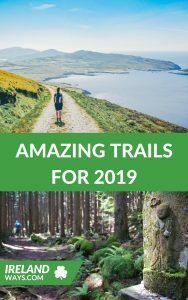 Fill in the form below for your FREE copy of our Hiking Trails 2019 Guide here!